According to Senator Elizabeth Warren we need her Anti-Corruption & Public Integrity Act because we are “tired of a government that works only for the rich and powerful.”1 Rep. Pramila Jayapal (D-OR) echoed this sentiment in support of her own anti corruption measure. Jayapal wants to ”change how our democracy works”2 with a companion bill in the House. Jayapal’s bill garnered 9 cosponsors that include some of the most extreme voices in her party like Jan Schakowsky (D-IL), David Cicilline (D-RI), John Sarbanes (D-MD), and Mark Pocan (D-WI). Senator Warren’s bill collected none. That’s not a very impressive showing. At last we still have hope that there are wiser politicians who understand why bills that place their integrity under the microscope are a foolish idea. Anti-corruption legislation prevents what, exactly? For two years we’ve vexed over how to repair our democracy to reclaim what we have lost because of Trump. For that reason Democratic Party threats that our system is hopelessly corrupt focus on conservative money, power, and influence. They all return to the same place. This has little to do with ethics or integrity. It has everything to do with a power grab. That’s why hyperbole is the evidence to justify an overhaul that adds more bureaucracy, which is something we know damages our government and offers more opportunities for abusing power and influence. We already have an Office of Congressional Ethics, ethics rules, and an assortment of watchdog agencies. Why do we need Warren’s anti-corruption and integrity bill? Because if she plans to run for president she needs to take on Donald Trump now. S. 3357 seeks to cut the rotten parts from our political system by addressing a Warren “crisis.”3 The buzz has been growing about her possible run for the White House, so we should ask how much of what she wants in this doomed to fail legislation is just early campaign speak. Does one senator’s political campaign justify this kind of sweeping ethical boondoggle? 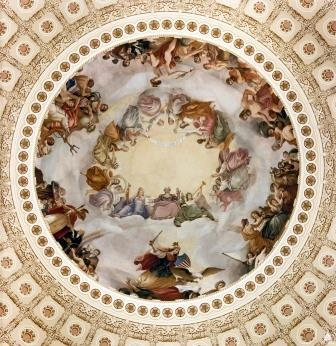 The problem with the Warren anti corruption bill is that it throws a rock at the glass house Democrats helped to build. The PR campaign targets Trump and ignores the fact that wealthy, powerful, and well-connected politicians from both parties corrupt our government. Democratic ties to the special interests that back Warren’s proposal are just as likely to be abused as those from groups that back Republicans. The senator can’t separate wealthy Democrats in Congress from the powerful and well connected. Instead we have to trust her when she implies that conservatives and their interests are unethical and corrupt. Otherwise, by her own words she is unsuitable for office. Democrats have their own proud history of machine party corruption that makes this a dishonest way to sell opportunistic new ethics legislation. S. 3357 adds to this history with inflammatory remarks and campaign ad-style publicity we’ve heard too many times. Any non-politician knows these things can never be controlled with any certainty because the party proposing the fix will always forgive its own role in the problem. The Anti-Corruption & Public Integrity Act establishes the Office of the Public Advocate within a newly-created Office of Public Integrity. This gets the bureaucracy ball rolling. The president appoints and the senate approves a National Public Advocate, so we’re off to the races as far as power mongering is concerned. Warren must assume that she or some other Democrat will be president. It’s hard to imagine after what happened with Brett Kavanaugh that any Republican will be judged to have the integrity necessary for this appointment. That last item is not what we’re getting from Senator Warren. This is a shameless election ploy from a party that justifies and forgives outrageously unethical behavior like Bill Clinton’s notorious meeting on the tarmac with Loretta Lynch and Hillary Clinton’s not so secure emails. Fortunately for Warren her bill is all about Democratic Party enemies: the wealthy, corporations, and Trump. Her party’s unethical behavior will sneak by just fine. The truth is that when Democrats are in power there are no ethical issues. When Republicans rule our system is corrupt and American democracy is destroyed. If you want to do something right you go to the experts. When the problem is government corruption, no one does it better or knows more about it than Illinois. The Rockford Register Star reports a novel anti-corruption idea by Illinois Rep. John Cabello. He proposes that we put body cameras on politicians to keep them on the straight and narrow. While Democrats were eager to put video monitoring devices on the police, it seems that Senator Warren missed the boat when it comes to this foolproof method to police her colleagues. Cameras can also help us know when a public official is doing something crooked and underhanded. If we mount them on a strap federal lawmakers can wear around their heads, I think we send the appropriate message. 1. “Jayapal to Introduce Sen. Warren’s Anti-Corruption & Public Integrity Act In The House.” Pramila Jayapal.November 16, 2018. https://jayapal.house.gov/media/press-releases/jayapal-introduce-sen-warren-s-anti-corruption-public-integrity-act-house, retrieved December 8, 2018. 3. “Warren Delivers Speech on Comprehensive Plan to End Corruption in Washington.” Elizabeth Warren. August 21, 2018. https://www.warren.senate.gov/newsroom/press-releases/warren-delivers-speech-on-comprehensive-plan-to-end-corruption-in-washington, retrieved December 8, 2018. 4. “Anti-Corruption and Public Integrity Act – Senator Elizabeth Warren.” Elizabeth Warren. https://www.warren.senate.gov/imo/media/doc/2018.08.21%20Anti%20Corruption %20Act%20Summary.pdf, retrieved December 8, 2018. 5. “Warren Delivers Speech on Comprehensive Plan to End Corruption in Washington.” Elizabeth Warren. August 21, 2018. https://www.warren.senate.gov/newsroom/press-releases/warren-delivers-speech-on-comprehensive-plan-to-end-corruption-in-washington, retrieved December 8, 2018. 7. “Forecast: Cloudy with Corruption, Secrecy and Double-Dealing.” Nancy Pelosi. March 12, 2018. https://www.democraticleader.gov/newsroom/31218-3/, retrieved December 13, 2018. 8. “Anti-Corruption and Public Integrity Act – Senator Elizabeth Warren.” Elizabeth Warren. https://www.warren.senate.gov/imo/media/doc/2018.08.21%20Anti%20Corruption %20Act%20Summary.pdf, retrieved December 8, 2018. 10. “Senator Warren’s Remarks at the Edward M. Kennedy Institute for the United States Senate.” Elizabeth Warren. September 27, 2015. https://www.warren.senate.gov/newsroom/press-releases/senator-warren-and-039s-remarks-at-the-edward-m-kennedy-institute-for-the-united-states-senate, retrieved February 23, 2019. 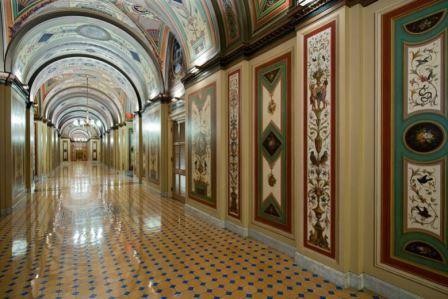 Image: “Brumidi Corridors” retrieved from https://www.aoc.gov/capitol-buildings/brumidi-corridors on December 14, 2018.